You know how necessity is the mother of invention? 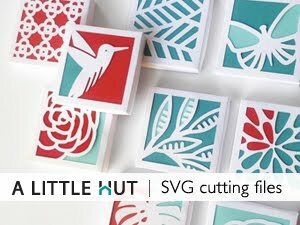 That's how these projects came about—a Gable Box and Chain Link Charms (now available as SVG and DXF files). First off, one can never ever have too many boxes. I've been wanting a gable box for a long time. Yes, I know I can buy one I wanted to make my own (I know you understand, right?) and just a plain one didn't cut it either. I wanted to create different cover designs to suit the occasion. Add flowers or other embellishments and your set for someone's birthday or a hostess gift. When I was about to add this project to my shop it occurred to me that sometimes a larger box (for bigger gifts or storage) is needed so I'm offering the same project in two different set ups. 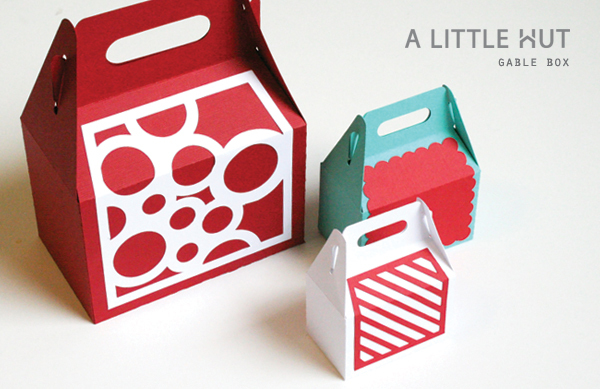 A one-piece file to make the smaller treat type boxes and a two-piece file that makes the larger box. The second idea came about when I wondered what to do with some scraps from another project (you know I love coming up with ideas and ideas for those)—so here's another one. 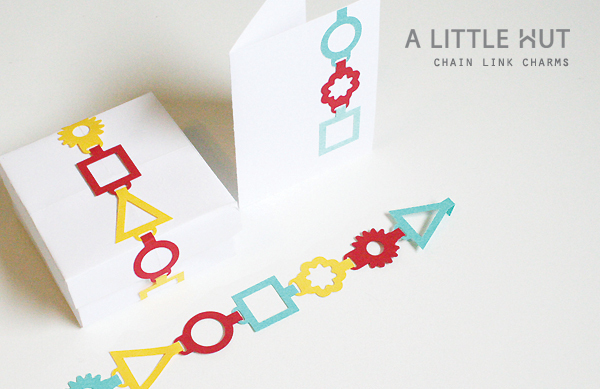 But this one is for those of use that work on cutting machines—Chain Link Charms! Don't you always have empty paper corners around the cut out shapes that make things like boxes? Well these Chain Link Charms are one way to use up that paper. Every time you have a project ready to go, just pop one of these on the cutting mat. Keep cutting them out as you make all your projects and collect them in a little jar. Once you have enough you can make colorful garlands or use them to wrap around a gift. Presto—fewer scraps! I'm certainly going to be using both of these for the holidays—(Teacher's gifts? Yes! ).